TBA Always much more coming! Film Brockville moved to the Brockville Arts Centre as of January 2019. Doors open a half hour before screenings. Screening dates will alternate from one month to the next between Sundays and Wednesdays. Tickets are $10.00. They are available at the BAC box office (cash, debit/credit cards). Tickets may be purchased online at the BAC beforehand. Film Brockville needs your support to continue bringing interesting films to the city. Encourage friends, colleagues, neighbours and relatives to join the Film Brockville mailing list. 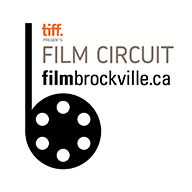 * TIFF Film Circuit has an exciting announcement! In order to better understand and service Film Circuit audiences, and their respective communities, Circuit will be rolling out a Film Circuit Survey. Participants will be entered into a draw to win a FREE TRIP FOR TWO to the final weekend of the 2019 Toronto International Film Festival - Friday September 13th, 2019 to Sunday September 15th, 2019 - including airfare and hotel stay! Moving to the Brockville Arts Centre in January! Playing a young man raging and suffering through drug addiction, he confirms his status as one of the very best actors of his generation. He is matched every step of the way in this moving drama by Steve Carell, who continues to build on his comic achievements with powerhouse dramatic turns in Foxcatcher, The Big Short, and most definitely here. David Sheff (Carell) is a kind, loving, middle-class dad. He and his wife, Vicki (Amy Ryan), seem to have done everything right for their family. So when son Nic (Chalamet) gets addicted to methamphetamine, David can't believe it, can't stop it, and can't help but risk everything to try to get his son back. As he grapples with Nic's lies, betrayals, and constant flirtations with death, the film reminds us of who Nic used to be - a sweet, thoughtful, beautiful boy. Based on the extraordinary life and career of legendary journalist Marie Colvin, A Private War marks the narrative feature debut of acclaimed documentary filmmaker Matthew Heineman (City of Ghosts). Even in a profession populated by daring personalities, Colvin (Academy Award nominee Rosamund Pike) is a particularly courageous and devoted reporter. By the turn of the 21st century, a time when journalism itself is increasingly under attack, she is one of the most celebrated war correspondents of her generation, driven to the front lines of conflicts in the Middle East, Africa, Europe, and Asia in order to bear witness and give a voice to the voiceless — while testing her own notions of bravery and bravado, and the differences therein. Blinded in one eye in Sri Lanka — after being deliberately targeted in a 2001 grenade attack — she adopts a distinctive eye patch, a kind of trademark that signals her battle scars, her panache, and her rebellious streak. A New Yorker transplanted to London, she remains as comfortable moving amongst her adoptive city's high society as she is traversing war zones and confronting dictators. Yet she also sacrifices loving relationships, and, over time, her personal life starts to unravel as the trauma she's witnessed on the job takes its toll. Halla (Halldóra Geirharðsdóttir in a bravura performance) is a choirmaster who loves her job. And she's just learned she's been approved to adopt a child from a war-torn area in Ukraine, a long-time dream of hers. The only hitch is that Halla is also a terrorist — an eco-terrorist to be exact. The proliferation of heavy industry, urged on by unscrupulous politicians, has been ruining Iceland's rugged landscape and she's taken action. Dubbed the Mountain Woman, Halla soon becomes the scourge of the aluminum industry. Halla is determined to see things through… but she can't help wondering, would it be more fulfilling to save hypothetical future lives or one actual life: the daughter she has yet to meet and may never if she's apprehended. Benedikt Erlingsson's second feature drills deep into the inevitable dilemmas plaguing almost everyone committed to the greater good. And the political satire here is precise and rich. It's evident in the sleazy Fox News–style way the government demonizes Halla. At the same time, there's a puckish, postmodernist sense of humour percolating though Woman at War that suggests vintage Makavejev and Godard, or even Alain Tanner's classic Jonah Who Will Be 25 In The Year 2000.
Review in the Toronto Star. Rose-Lynn Harlan (Jessie Buckley) has dreamt of becoming a country music star for as long as anyone can remember. But Glasgow isn't exactly Nashville, and, as a convicted criminal and single mother of two young children, Rose-Lynn is more country song than country starlet. Based loosely on the story of the director's own parents, Cold War covers the entirety of a couple's love affair, from their enchanted first meeting in 1949 to the aching denouement of their relationship in the 1960s. Wiktor (Tomasz Kot) is a jazz-loving pianist and musical director tasked with auditioning traditional folk musicians as part of a state-sponsored project to champion culture from rural Poland. Young Zula (Joanna Kulig), who turns out to be more torch singer than folk singer, captivates Wiktor at first sight with her beauty and insouciance. Their fates joined, Zula and Wiktor are soon struggling both with personal demons and historical forces that persist in tearing them apart. (R, 89 minutes, Tomatometre 92%). G&M Review. Originally from Kugluktuk, one of the film's producers, Stacey Aglok MacDonald, has first-hand experience of the impact of this program on her community and has been committed to bringing this story to the screen in close creative collaboration with producer Alethea Arnaquq-Baril and director Miranda de Pencier. With absolutely stunning breakout performances by young Nunavut-based actors Paul Nutarariaq and Emerald MacDonald, The Grizzlies is a testament to the spirit, tenacity, and leadership of Inuit youth, persisting in spite of immense pressure and hardship. (PG, 102 minutes). Feature story: G&M review.